Hey kids, put those toys away! And stay behind the barrier. This model village is for adults.There’s Shakespeare’s house and Anne Hathaway’s cottage, along with some 23 other buildings – it’s quite the all-star Tudor destination. I love Melbourne’s Fitzroy Gardens, but this is one tourist ‘attraction’ that the Melbourne City Council seems to be trying to keep on the downlow. I passed three signs when I was trying to find it and this wasn’t on any of them. Maybe it’s because it’s a little on the twee side, and local miniature village fanciers are thin on the ground in Australia. Even as a history piece it’s not exactly up there with the most compelling stories ever told. 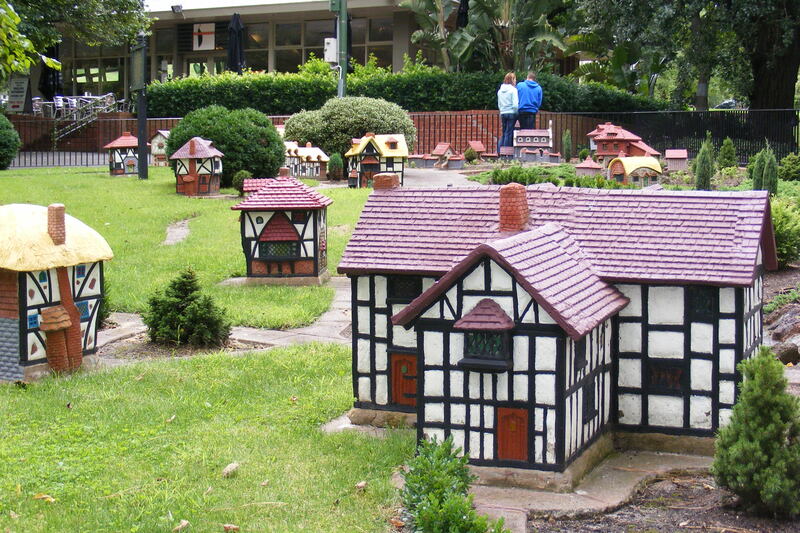 When I first visited the Model Tudor Village for work as part of a Melbourne heritage tour years ago. our guide proudly told us that it had just been through an $80,000 restoration. Each building was taken away, any problems were fixed up and then it was repainted. Now, I’m not one of those far-right Tea Party types that froths at the mouth every time the government spends my hard-earned cashola on some public works project. But when I look at this small cluster of slightly lumpy knee-high buildings, I can’t help feeling that’s a hell of a lot of money. And for…this? As well as sending soldiers off to fight the nazis in WWII, Melbourne apparently helped out the Brits by sending some much-needed food across the seas to old Blighty. 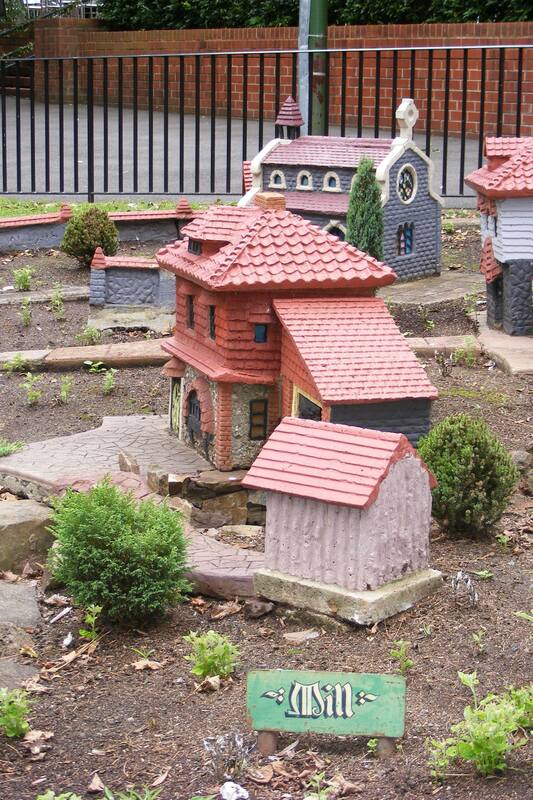 As a token of appreciation, a 77-year old model village enthusiast called Edgar Wilson gave all the wonders you see here to Melbourne as a gift from his home town of Lambeth in 1948. I can only imagine the Lord Mayor of the time felt a bit like I did on Christmas Day in 1987 when I received a pair of jocks that were two sizes too small from a great aunt I hadn’t seen for more than five years – underwhelmed, and even slightly confused. This is perhaps not coincidentally the exact same mix of emotions that many people appear to experience when they visit the model village today. Put on your best flat cap or tweed skirt, pick up that dapper walking stick and let’s get weird together.